Creating or renovating your kitchen can be a very exciting experience for a homeowner. Adding new colors, cabinets and appliances get completely change the functionality and value of your home’s heart, the kitchen. But when it comes to choosing appliances, how do you know what is the best in the kitchen industry? With so many names like Whirlpool, KitchenAid and LG, how can you best sure you are getting the best value for your home? Here are some tips to choose the right products that will last you for years to come in your home! Design and functionality often compete for priority in appliances. Sleek designs may offer the look you wish to have in your home, but will the design hold two giant turkeys are Christmas time? Appliances have come a long way since your grandmother’s giant microwave. There are offerings in many colors, stainless steel and even chalk covered appliances. Be sure that you consider the use of your appliance for future years before considering the design. Research and you will find the one that is perfect for your kitchen! Pro Tip: Always go see the appliances in person before purchasing. We know your money is valuable. Choosing an appliance that will last you for years to come and function at optimal performance can be the difference in minimal repairs and large sums of money. Be sure to research brands and reviews on each potential purchase so you can understand the product’s reliability. Spending a little extra for a better product will likely save you money for years to come. Design and usability are important, but what if something does eventually stop working on your new appliance. Are there any qualified repair stores in your area? Do they offer in-home service or will you have to pay a transport fee? Do these repair companies offer warranty repairs for big names like Whirlpool, KitchenAid and LG? Research the availability for service calls in your specific area to save yourself headaches and money for years to come. Ready to start searching for your new appliances? Consult with On Time Appliance to ensure that you are purchasing the best appliances for your home. 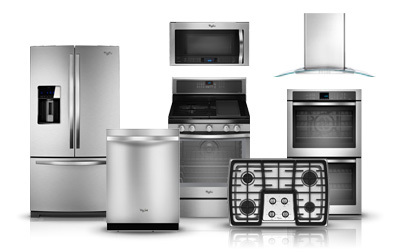 Our team is able to work on all leading name brands including LG, Maytag, Whirlpool, KitchenAid and more. Learn more about our services today! ← Should I Repair Or Replace My Sub-Zero Appliances?